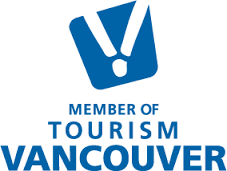 Forbes Travel never rests on its laurels as one of Vancouver’s leading retail travel agencies. In an ever-changing industry, we recognize that it is the human element, our experience and instincts, that raise travel planning to a higher level. Founded in 1986 as a niche boutique agency, originally specializing in safaris to Africa, Forbes Travel now offers fully comprehensive consulting and travel management across a wide range of services covering both corporate and leisure travel. Our corporate clients are mostly from the natural resource and investment industry and we manage all their travel needs. Our leisure clients travel the world, solo or in groups, from a quick escape to an intricately planned trip of a lifetime. Staffed by a dedicated team of knowledgeable professionals, our goal is to guide you to wherever you want to be, to meet and surpass your needs and expectations, using our vast experience and our personable approach. We are members of the ACTA – Association of Canadian Travel Agencies; Ensemble Travel Group; and CLIA – Cruise Lines International Association. Forbes is proud to be an Air Canada Circle of Excellence agency for 2019.